On Thursday, June 26, 2015, the Supreme Court in King v. Burwell upheld the Government’s provision of health care insurance subsidies to lower-income individuals living in states with Federally-run health insurance exchanges. This case was crucially important for the continued survival of the Affordable Care Act and could have resulted in potentially five million Americans losing health care access had the Court found for the challengers instead. King v. Burwell is a huge victory for health care advocates and for the millions of Americans who would have otherwise lost their health insurance. CHLPI has prepared a short summary of the Court’s opinion and, along with Lambda Legal, will host a webinar on Monday, June 29 at 3:30 EST to explain the Court’s rationale, provide context for the ruling, and discuss next steps for health care advocates in a post-King world. As interns at the Harvard Food Law and Policy Clinic (FLPC), we have many opportunities to connect with innovative leaders and participate in exciting events in the foods system in Boston and beyond. Even so, presenting at the quarterly meeting of the Boston Food Policy Council is not an everyday occurrence. It is, however, one of the unique experiences I have had during my summer at FLPC. On June 15, the Mayor’s Office of Food Initiatives (OFI) convened the quarterly public meeting of the Boston Food Policy Council. People from across many sectors and interests participated in the meeting, including representatives from city government, non-profit, USDA, health care, private foundations, urban agriculture, school food, youth empowerment, and food waste recovery. It was my privilege to present to the assembled group about model structures for local food policy councils (FPCs). FLPC has worked with OFI on past projects on a range of themes including food trucks and urban agriculture. This meeting was a continuation of FLPC’s support of Boston Food Policy Council’s while it defines its major policy areas and potential advocacy options. At the Boston Food Policy Council’s March 9 meeting, FLPC staff presented an overview of food policy issue areas from FPCs around the country. In small groups, meeting participants discussed food challenges facing the city of Boston and then voiced their main policy priorities to the entire group. FLPC staff and interns distilled these issues into six areas of interest, including the hot topics of access to healthy and affordable foods in underserved neighborhoods and consumer participation in Boston Farmers Markets. In preparation for the June 15 meeting, I immersed myself in researching food policy council structure. It was quickly evident that no two local FPCs are alike. Local FPCs vary in myriad aspects – from an FPC’s relationship to local government to how council members are selected to how the community at large can participate in council meetings and advocacy activities. Despite many differences, one commonality that local FPCs share is that their structure and policy priorities are intrinsically entwined. For this reason, our two topics for the June 15 Boston Food Policy Council meeting were well paired. During the first half of the meeting, FLPC Director Emily Broad Leib and FLPC staff member Kelliann Blazek presented a draft policy agenda containing potential advocacy activities based on the topics identified by the participants at the March meeting. They facilitated further discussion about the six areas of interest, the potential advocacy activities, examples of relevant policies from cities across the United States, and the possible uses of such an agenda. In addition to receiving feedback from the participants, they invited additional comments and reflections via email. During the second half of the June 15 meeting, I presented on FPC structure with respect to council membership, working groups, and diverse and inclusive participation. Following the presentation, I facilitated small discussions in which the meeting attendees discussed structure in greater detail and articulated their vision of structure for the Boston Food Policy Council. FLPC will continue to support these important ongoing conversations through research and facilitation in the upcoming Boston Food Policy Council quarterly meeting. To stay up to date on our work with the Boston Food Policy Council and FLPC’s other projects, follow us on Facebook and twitter. 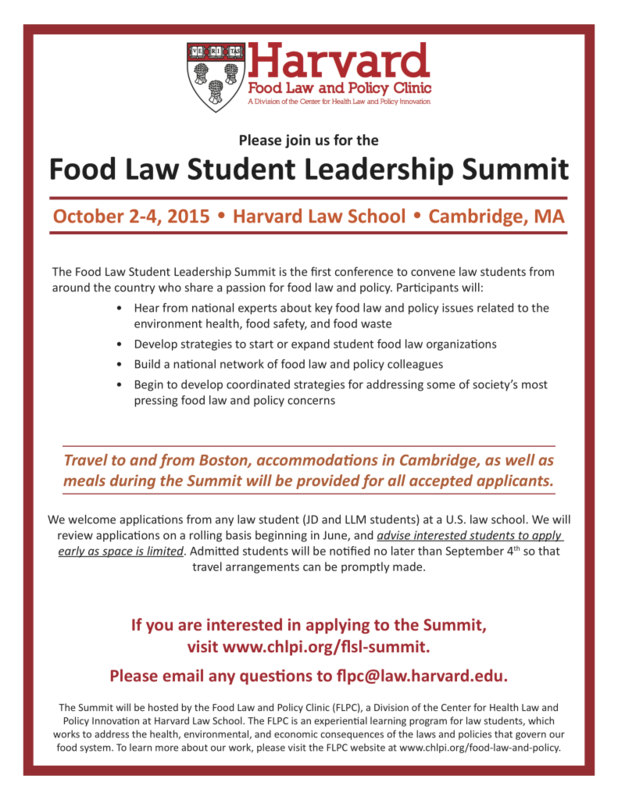 The Harvard Food Law and Policy Clinic (FLPC) is excited to host the first Food Law Student Leadership Summit, which will provide a forum for training, networking, and engagement among law students from across the country who are interested in food law and policy. We are now accepting applications from interested law students. The Summit will take place October 2-4, 2015 at Harvard Law School in Cambridge, Massachusetts. Travel to and from Boston, accommodations in Cambridge, as well as meals during the Summit will be provided for accepted law student applicants. Participants will hear from national experts about key food law and policy issues related to the environment, health, food safety, and food waste; develop strategies to start or expand student food law organizations; build a national network of food law and policy colleagues; and begin to develop coordinated strategies for addressing some of society’s most pressing food law and policy concerns. For more information and to apply, please visit the Food Law Student Leadership Summit webpage. The blog for aids.gov, the federally-run website for information about the government’s agencies and programs engaged in HIV/AIDS prevention, testing, treatment, policy, and research efforts in the United States, highlighted CHLPI’s newest tool in fighting discrimination against people living with HIV from health insurance providers. The Templates, available here, are downloadable forms that advocates, providers, and consumers can use to file complaints of discrimination directly with State Departments of Insurance (DOI). The blog post also links to a download of the recent webinar led by CHLPI, explaining the use of the Templates. Read the full blog post from aids.gov here. On Wednesday, May 13th, presenters from the Center for Health Law and Policy Innovation, the Harvard School of Public Health, and the American Heart Association on presented a webinar on how Massachusetts’ schools are successfully sharing space with the community to get students and parents active and healthy during non-school hours. The webinar covered how to develop a shared use initiative in a Massachusetts school from start to finish, including strategies for finding funding and managing risk and liability concerns. Read the Massachusetts Joint Use Toolkit. “U.S. school cafeterias are starved for funds, lack facilities, and are staffed by workers who often know more about wielding ‘box cutters and can crushers’ than chefs’ knives, according to Ann Cooper, a onetime celebrity chef turned Colorado lunch lady and school food reformer. Read the full article from the Harvard Gazette. 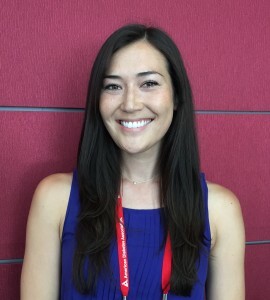 Meredith Fierro is a rising third-year student at Boston College Law. She is a member of the European Union National Moot Court Team, competed in the Wendell F. Grimes Moot Court Competition as a quarter-finalist, and served as Social Chair to the Women’s Law Center. Since starting law school, Meredith has served as a legal intern for the Massachusetts State Senate Counsel and Massachusetts Governor Deval L. Patrick’s Legal Counsel. Next year, Meredith will co-chair the Wendell F. Grimes Moot Court Competition and serve as a 3:03 Student Attorney to the Administrative Law Division of the Massachusetts Office of Attorney General. 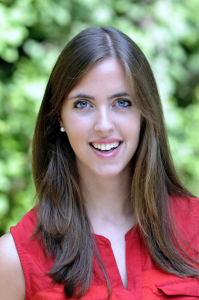 As an undergraduate, Meredith interned for the Massachusetts Association of Health Plans (MAHP) and the Press Office of Massachusetts Attorney General Martha Coakley. Meredith graduated from Union College with a B.A. in English. Kristen Hayashi graduated from the University of California, San Diego in 2011 with a bachelor’s degree in International Studies-Political Science and a minor in Spanish Literature. After studying and volunteering abroad for a year in Costa Rica, she decided to enroll in an international duel master’s program through the University of Chile and the Harris School of Public Policy at the University of Chicago. She will graduate in 2016 with a double master’s degree in Public Policy with the goal of working at the intersection of food justice and public health. For the past six months, she has worked as a part-time research assistant for the Center for Health Law and Policy Innovation and is elated to be working for CHLPI full time as a summer intern. 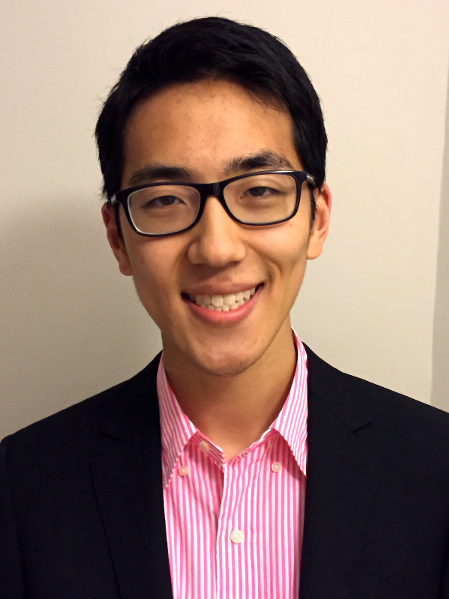 Ike Lee graduated from Yale University in 2015 with a BA in Political Science with distinction. He has been involved in policy research and advocacy at the state and national level in multiple issue areas through his work at the Center for American Progress, New Haven Legal Assistance Association, and Yale Law School. A supporter of interdisciplinary studies in policy and health care, he was a staff editor of the Yale Journal of Health Policy, Law, and Ethics and has authored two peer-reviewed journal articles in cardiology. He also co-founded the first collegiate chapter of Science Olympiad to broaden access to science education for high school students. In his free time, Ike enjoys Rubik’s cubing and playing pool competitively in the Northeast. Tori Powers is a rising senior at Brown University pursuing a major in political science. Tori is particularly interested in expanding and protecting access to reproductive health services. She has previously interned at Planned Parenthood of Southern New England, the Office of Public Interest Advising at Harvard Law School, and Office of the Governor of New Jersey. Additionally, she has volunteered at the Alice Paul Institute, a nonprofit organization that promotes education and leadership development for girls. In her spare time, she enjoys doing crossword puzzles and watching home renovation shows. 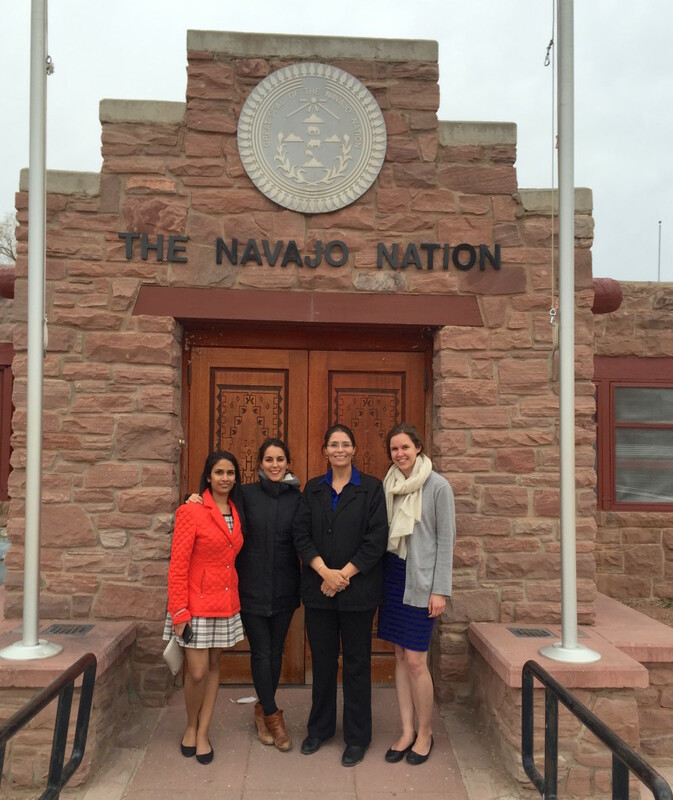 In May 2015, attorneys and students from the Harvard Food Law and Policy Clinic (FLPC) travelled to the Navajo Nation to launch Good Laws, Good Food: Putting Food Policy to Work in the Navajo Nation. 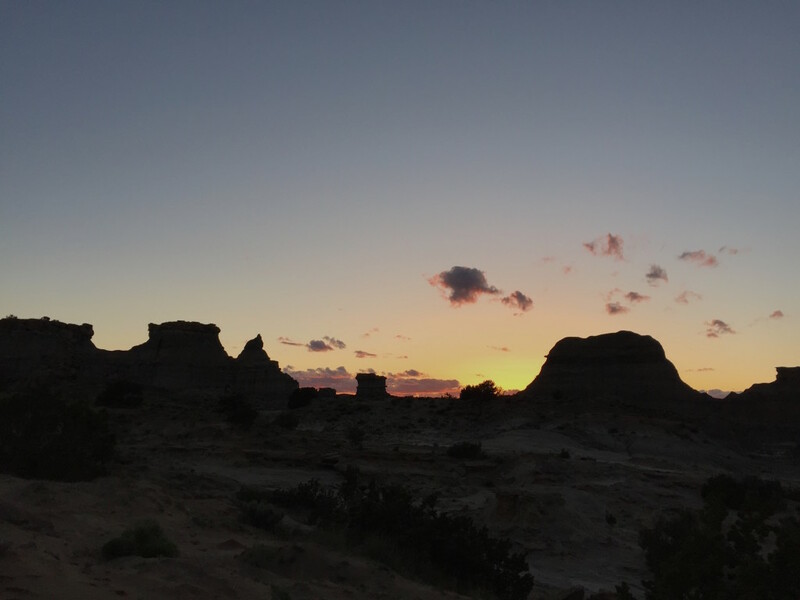 This policy toolkit provides community food advocates and government officials an overview of food laws and policies that impact the food environment in the Navajo Nation. FLPC began to conduct research and develop this toolkit in the summer of 2013 following a visit to the Navajo Nation and discussions with Dr. Sonya Shin from the Community Outreach & Patient Empowerment Program (COPE), staff from the Navajo Division of Health, and then-Vice President Rex Lee Jim. Partnering with COPE and working closely with COPE’s REACH Food Coalition and other Navajo stakeholders over two years, FLPC compiled research, best practices, and first-hand experiences and perspectives to provide what we hope will be a true resource for the Navajo Nation as it works towards the goals of increasing health, sustainability, and food sovereignty. During our May visit, FLPC attorneys and students had the opportunity to exchange ideas with Navajo Nation food advocates, local government members, and youth leaders. We met with food sovereignty leaders and activists from the Diné Food Sovereignty Alliance (DSNA), who shared with us insights and wisdom on indigenous thinking and Navajo fundamental law. DSNA members helped us present on Navajo food ways and food policy at other events throughout the week. These included a public workshop at the Navajo Technical University which brought in food advocates, Navajo leaders, educators, students, and community members. Workshop attendees held lively discussions, identifying priority areas in food policy and debating the strategies that could be used to address them. We also had the opportunity to present at a meeting of the Health, Education and Human Services Committee of the Navajo Nation Council at the Sheep Springs Chapter House. In addition to presenting, we learned more about health issues impacting the Navajo Nation, and local food issues shared by Sheep Springs community members. Last but certainly not least, we met with students and parents involved in the Navajo Community Health Outreach (NCHO) Youth Leadership program, and discussed the specific food-related challenges faced by young adults and families in the Navajo Nation. Our generous hosts also opened their homes and kitchens to us. We had the opportunity to try traditional Navajo dishes and visit important landmarks on Navajo Nation, learning more about Navajo culture and lifestyle in an informal and relaxed atmosphere. To stay up to date on our work with the Navajo Nation and FLPC’s other projects, follow us on Facebook and twitter. Emily Broad Leib, Director of Harvard Law School’s Food Law and Policy Clinic (FLPC), has been named Assistant Clinical Professor of Law at HLS. Since founding FLPC in 2011, the clinic has received nationwide recognition for its research and contribution to the movement to improve food systems. The Center for Health Law and Policy Innovation congratulates Emily Broad Leib on her appointment to the clinical faculty. Read the full article in Harvard Law Today.